Competitively inhibits HMG-CoA reductase, the enzyme that catalyzes the conversion of HMG- CoA to mevalonic acid. Results in the induction of the LDL receptors, leading to lowered LDL - cholestrol concentration. Reduces variable increases in HDL cholestrol. 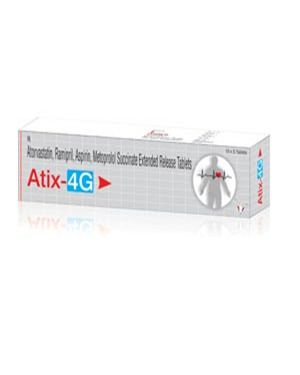 An ACE inhibitor which is metabolized into the active metabolite ramiprilat. Increases plasma renin activity & bradykinin levels & reduce aldosterone secretion. This group of medications called analgesics (pain relievers) and platelet aggregation inhibitors. Works by interfering with the production of compounds in the body that cause pain, fever and blood clots. Role under this combination for platelet normal functioning.